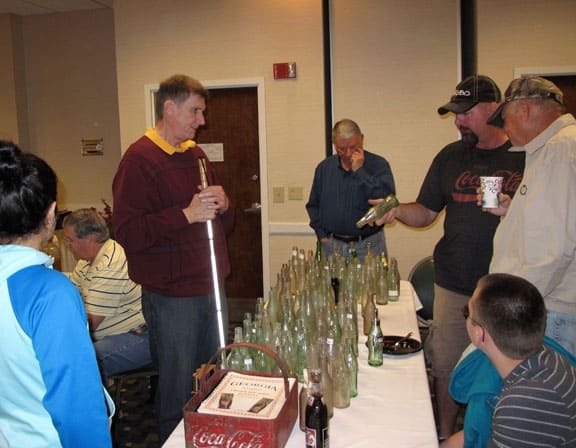 ATHENS, Ga. – When I walked into the room of the Holiday Inn Express last March 15 where the third annual Athens Antique Bottle & Pottery Show was under way, I really didn’t know what to expect. 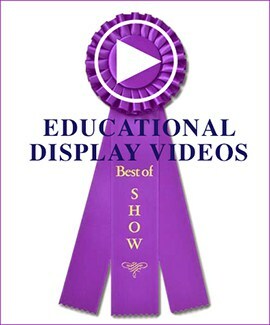 It’s one of the smaller shows in the state, but 21 dealers had set up this year, including Tom and Mabel Hicks from Eatonton in the central part of Georgia. The Hickses are old friends so I went over, shook hands with Tom and (later) gave Mabel a hug. 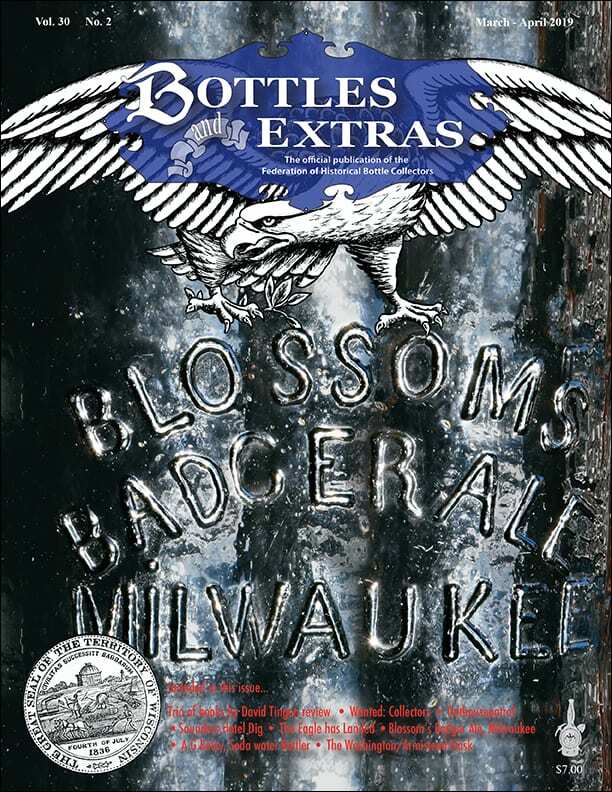 Tom started bending my ear about their latest adventure – the purchase with Bill Johnson of a drug store’s contents in Mississippi. That was certainly unexpected and will probably be the subject of another story. I was peddling copies of my friend Charles Head’s “A Head’s Up on Koca Nola,” but soon learned someone else was doing the same thing. 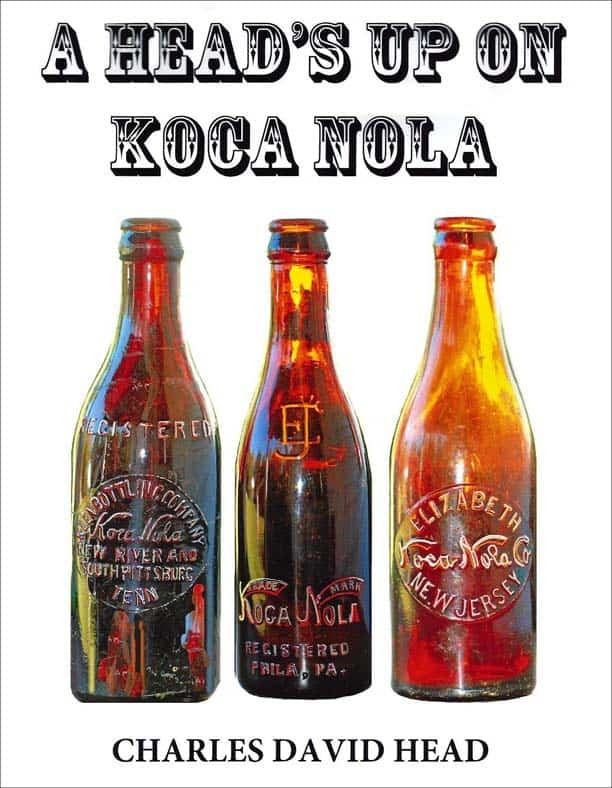 The book contains a fascinating story of Atlanta-based Koca Nola, which almost became more popular than Coca-Cola during the first quarter of the 20th century. Another friend, Tom Duggan, of Washington, Ga., purchased a copy. 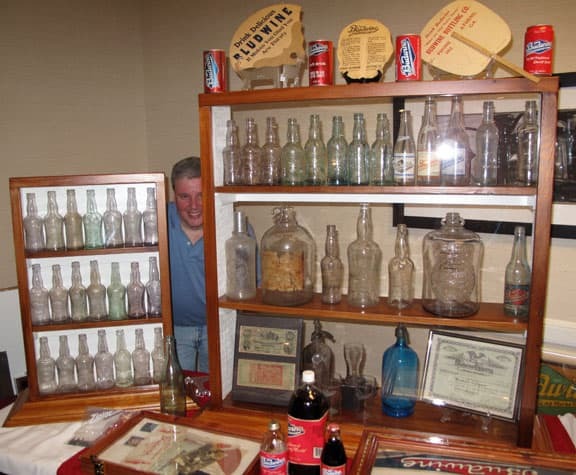 Loads of bottles and pottery sat on the tables and ranged from neat amber drug store bottles from nearby Elberton to utilitarian pottery from Maysville, another nearby town. 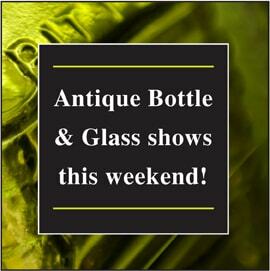 The show is the brainchild of Sam Evans, who said that pottery “is like gold in the Athens area. There were a lot of folks from south Georgia who were at the show for the first time. I was able to buy a great solid brass mortar and pestle from Bill Johnson (a part of that Mississippi hoard) and some Georgia Hutches that I didn’t have for my collection. 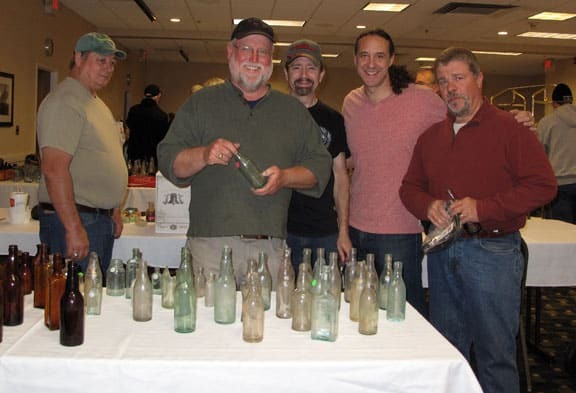 Among the dealers was Mike Newman, of Augusta, who dealt out of his Jeep and Evans was able to buy three nice Augusta bottles. Newman, on the other hand, found a Glascock Barrett trade card featuring the River Swamp Chill & Fever Cure (alligator), which is a rare go-with to the 1884 Augusta patent medicine. Evans is planning to hold another show next year. 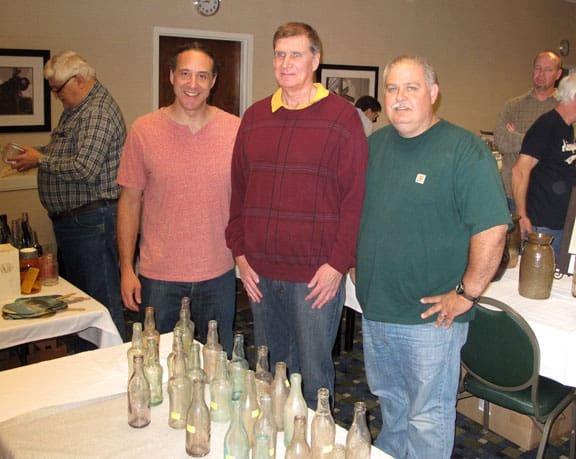 Jeff Weinberg with Stephanie Johnson (daughter of the late bottle collector Steve Johnson) with her fiancee Nathan. 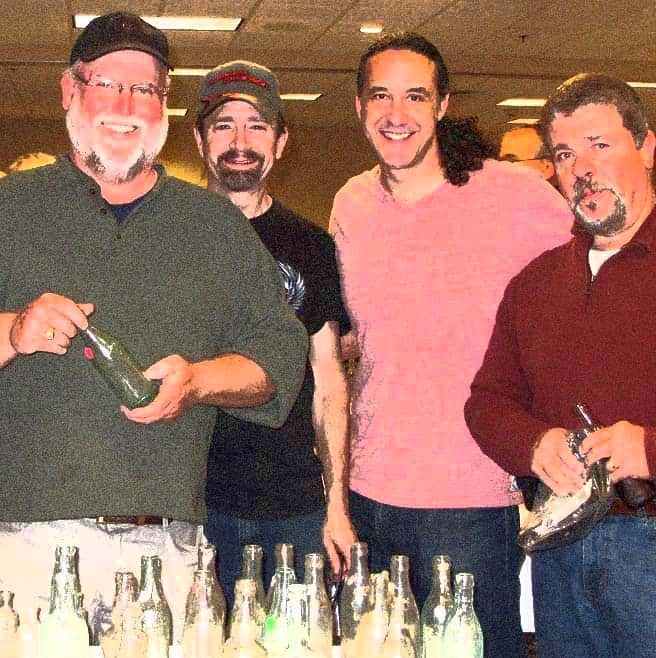 L to R: Ronnie Gaskins, Tom Duggan, Max Black, Jeff Weinberg, Brent Jones.